Legal aid cuts: Do we spend more on legal aid than other countries? Updated | One of the many points of interest from yesterday’s announcement that legal aid is to be cut by £350m per year was the underlying justification, put by Ken Clarke in his announcement, that England and Wales spend more on legal aid than other countries. The Justice Secretary said that “we currently have one of the most expensive legal aid systems in the world“. But where does this often-quoted statistic arise from? In its consultation document, the MoJ quotes (at para 3.43) a report commissioned from the University of York into comparative international legal aid systems. The report, Efficiency and quality of justice European Commission for the Efficiency of Justice (CEPEJ); International comparison of publicly funded legal services and justice systems, was produced in October 2009 by Roger Bowles and Amanda Perry. It investigated the legal aid systems in Australia, Canada, France, Germany, Netherlands, New Zealand and Sweden and compared these to the system in England and Wales. It is not clear why these countries were chosen, but it appears that they were picked by the Ministry of Justice, not the researchers (see footnote 1 on page 1). It may have been that these countries’ judicial systems were most directly comparable to England and Wales (page 5), or that those countries are known to have particularly generous welfare provision. In any event, the question is left unanswered. This is surprising given the obvious importance in comparative statistical studies of the choice of comparators. First, particularly in the federal systems such as Australia and Canada, there was sufficient variation even within single countries, at provincial level, to preclude this from being feasible within the time and space limits. Secondly, as regards the EU countries surveyed, the sources of comparative data were regarded as insufficiently robust to support much in the way of inferences. For example, table 7.1 shown in this report quotes figures quoted from the European Sourcebook of Crime and Criminal Justice Systems (ESB, 2006). England and Wales data was for individuals cautioned, those prosecuted for summary offences, trials either way or indictable offences. This was considered the closest proxy for the ‘suspects’ data collected by other European countries. But it was not exactly the same. Similarly when reviewing the number of cases brought to the criminal courts relative to the crime rate in this table, there were methodological issues associated with the nature of the cases covered, particularly associated with the disposal of traffic offences. A third example related to the differing role of prosecutors and use of cautions, which differed in England and Wales compared to other countries. Making comparisons of international justice systems was complex due to significant differences in the methodology and reporting of data associated with justice systems. Therefore all comparisons in this report should be treated with care as to their interpretation. Additional analysis of data collection methodologies might have revealed alternative explanations for some of the differences found. However, this additional work was beyond the study remit. High volume of cases supported. High income ceiling on eligibility. Wide (if narrower than previously) coverage of areas of law. The adversarial legal tradition of a common law country. Although legal aid costs were unusually high in England & Wales the same did not apply to the overall costs of the Justice System. The CEPEJ Report data reported in table 7.2 suggested that spending on courts and public prosecution were comparatively low in England & Wales. This would imply that looking at legal aid expenditure in isolation risked missing important structural differences between justice systems. Much has been made of the justice gap which may open following the withdrawal of legal aid in most civil cases. However, it is interesting and useful to consider the underlying rationale (in so far as there is one – the Guardian, amongst others has argued that a shrinking budget is the only driver) behind the cuts. Considering the York University report – which appears to be the foundation of many of the MoJ proposals – if meaningful international comparisons can be made at all, it would be interesting to know what a truly worldwide study, rather than one limited to a few countries, would have concluded. 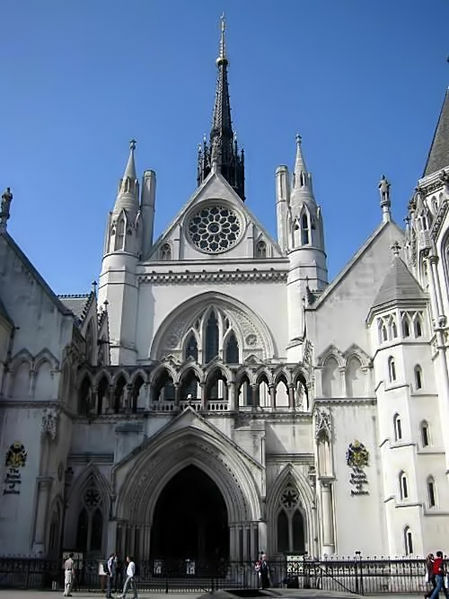 Moreover, the point by the York authors that although legal aid is comparatively high, spending on the justice system as a whole is comparatively low, is also of interest and may support the conclusion by the chairman of the Bar of England and Wales that cuts in legal aid will lead to a contraction of justice. Put another way, with overall justice spending comparatively low, the system may not be robust enough to provide justice for those frozen out by the proposed legal aid reforms. those interested in access to justice have to move beyond seeing legal aid as the problem and look more fundamentally at the nature of law and legal institutions. We need to consider radical redesign of dispute resolution processes, not simply the tacking on of ADR and we should to consider radical simplification and codification of substantive law. Put simply we have more cases, particularly in crime. As a country we report more crime to the police and they interview more suspects, prosecute more accused, convict more defendants and imprison more convicts. This has a significant impact on the number of cases and the work that needs to be done on those cases. On the civil side, divorce rates are higher here impacting significantly on the number of family cases. Ultimately he argues for a “radical simplification” of our law, “changed” rather than “alternative” dispute resolution and introducing a “polluter pays” principle where sectors which generate litigation – such as business and government – pay for this themselves rather than externalising the costs. When I edited The New International Directory of Legal Aid for the International Bar Association I reviewed replies to a questionnaire from some 80 jurisdictions. I had approached twice that number and received 80 completed forms. I sympathise with the authors of this Report about the difficulty of obtaining information and the near impossibility of comparing the results from different jurisdictions. The impression I formed was that countries got what they paid for. In terms of eligibility, access and scope there were wide fluctuations. I was left with the impression that if a country spent £3 per head it got an inferior coverage. The authors pont out the problems of obtaining information from Australia with its federal system and the variations between states; they should have tried the United States. One arrangement which I have not seen mentioned elsewhere is that in some partes of the States there is an obligation to perform a fixed amount of Pro Bono work – one figure was $300 a year – or, you could just pay $300 to a state legal aid fund. The Coalition Government is on a dangerous course; legal aid underpins the rule of law, not only in criminal matters but in the whole field. There would be a downward spiral because those firms of solicitors with a large legal aid practice will be forced to reduce the numbers of lawyers they employ; skills will be llost which cannot easily be replaced. This is an excellent post. The key point is the point about prosecution and court costs. I am a member of the International Legal Aid Group. This is a group of senior legal aid policy makers and academics which works on legal aid issues. If I was looking for countries to compare against England and Wales to see which countries might spend as much as us I’d have picked Scotland and the Netherlands. Got to nail this nonsense before it is trotted out by canvassers on the doorstep.